1, Standard body + Your face. We hand sculpt the head to resemble the photo you provide. Clothes color / style can be changed as requested. 2, 100% Handmade with polymer clay, ensure brighter color and best details. Clothes color/ style can be changed. 3, Free Proofs in different stages, Quick shipping worldwide. 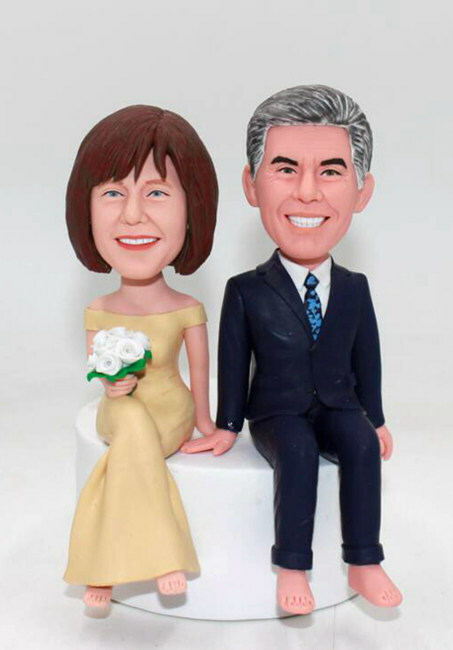 4, If you can't find ideal model online, please choose " Head-to-toe custom " and design your wedding cake toppers completely by yourself. *In case you fail to upload photos online, probably the uploaded photos are too large (or any other reason), please skip this step and continue to checkout. Once complete your order, please send the photos to service@cutebobble.com via email with your order number instead.